Did you actually select the mapper type in catapult? Looks like it was set on auto detect, which is the default. I selected the turbor machine and the KUC extension. If the KUC extension has an unflashed .sram, the toggle_info_panel has Mapper type empty. If the KUC extension has an unflashed .sram and put also the KUC.rom to "Cart A", the toggle_info_panel says: Konami MegaROM, but I can flash the KUC.rom at sram properly. Finally, If the KUC extension has the flashed .sram, the toggle_info_panel says: Konami Ultimate Collection and the games works perfect. Ah, the point of the alternative option was to not use the extension, but only the ROM image in slot a, and specifying the konami ultimate collection mapper type for it. You do know how to set mapper type in catapult? Click the Cart A button. With this way it loads perfect. This is the key, but wasn't clear I think. Can you be a bit clearer on what caused the confusion? I thought was enough to selected the KUC extension and the mapper type will be the correct. English is not my mother language, also not yours. So it's easy to misunderstand some words. Yeah, no problem. I'm just trying to understand what to explain better. It's a bit tricky anyway. Extensions are basically hardware cartridges you can put in the cartridge slots. ROM images are special: for them a special flexible kind of extension is created that contains the ROM. But a bare ROM image doesn't say what kind of memory mapper hardware is supposed to be used with it. So you need to specify the mapper type with the ROM image, so the proper extension can be created. This mapper can be specified in 3 ways: 1) automatically, by looking up the ROM in a database that contains the mapper types 2) auto-detect, for games that do not appear in the database (KUC is typical, as you can create your own ROM and 3) manual specification/override. What you now did is 3. 1) you put a KUC cartridge in a cartridge slot, but it wasn't flashed. You can flash it properly of course. 2) you put a ROM cartridge in another cartridge slot which was autodetected as a Konami MegaROM, and the ROM contained the KUC.ROM. But as the mapper was wrong, it wouldn't work properly. 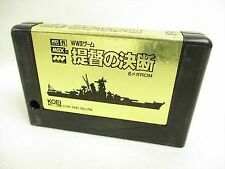 Once you flashed the KUC cartridge, it would simply boot: Catapult inserts extensions first and then the stuff from the "Cartridge slots" tab. So the KUC cartridge ended up in a lower slot than the auto-detected ROM. 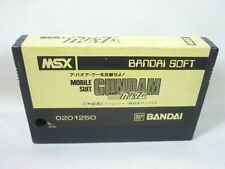 That explains why it booted once it is flashed, as the MSX will run cartridges from the lower slot first. Was not your fault. Just I didn't know well the catapult UI. Today learned the trick with cart/mapper selection, thanks to you. Rarely read the manuals of anything I use! I am a fun of quick starts. For this reason never I go deeper to anything!